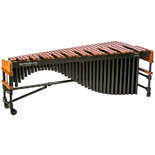 Marimba One Marimbas are all hand crafted in Arcata, CA by a talented group of craftsmen. 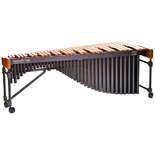 Known for their rich, warm, balanced sound and high quality frames, Marimba One makes a great choice for anyone looking to purchase a high end 5 octave marimba. 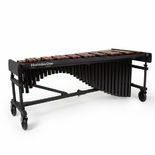 Marimba One offers many options including instrument size (4.3 octave, 5 octave, 5.5 octave), frame type (Wave, Izzy, 3100, Soloist), resonator voicing (Traditional, Basso Bravo) and multiple rosewood keyboard options (Traditional, Enhanced, Premium). 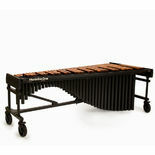 We understand purchasing a 5 octave marimba is a huge investment and the staff at Steve Weiss Music is here to assist you with the process. 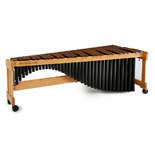 If you have any questions or would like to purchase a Marimba One Marimba, please reach out to our experienced marimba sales staff by using our contact form page or by calling 888-659-3477.